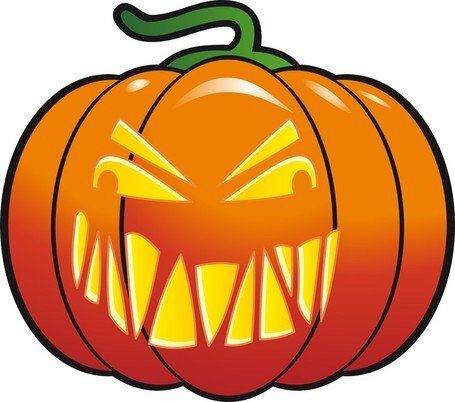 Realistic vector Halloween Pumpkin with scary face. 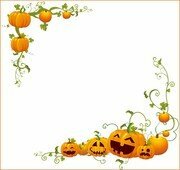 Jack o lantern isolated on transparent background. Jack-O-Lantern. Halloween pumpkin. Vector illustration. 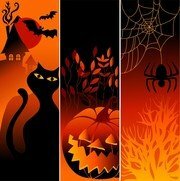 Halloween banner with funny silhouettes of pumpkins. Vector. 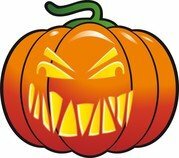 Set pumpkins for Halloween vector. Set of jack-o'-lanterns (Halloween pumpkins). Vector eps-10.